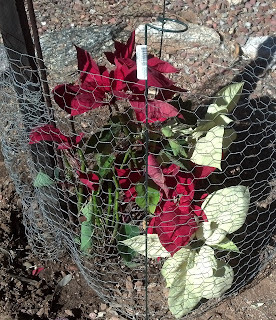 I had a friend tell me that poinsettias are poisonous so I put the chicken wire around them... don't want those bunnies that run rampant in our yard to get an overdose. I never have heard that poinsettias are poisonous so I thought I would do a search on whether or not poinsettias are poisonous... I found MedicineNet.com they state, "According to the POISINDEX information source - the primary resource used by the majority of poison control centers nationwide - a child who weighed 50 lbs. 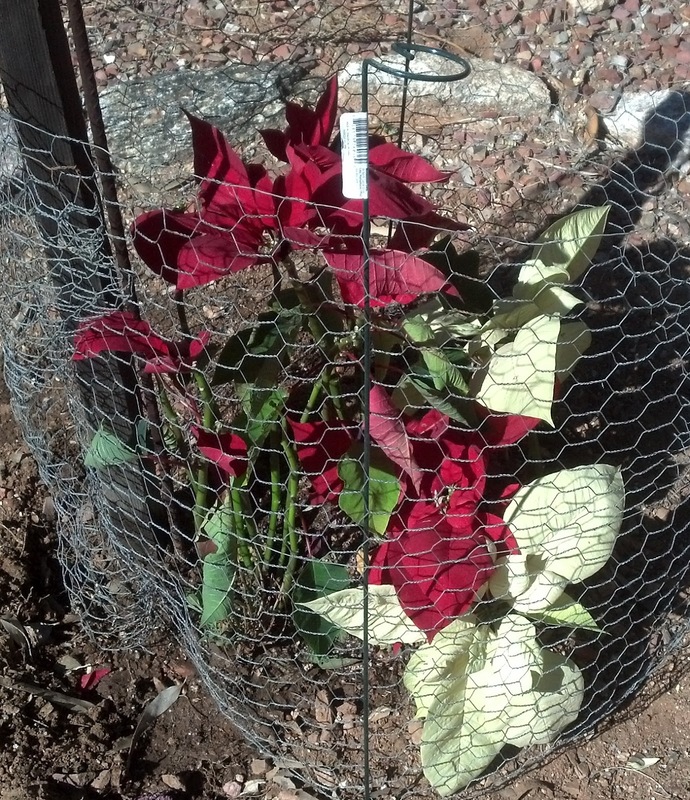 would have to eat over 500 poinsettia leaves to reach an even potentially toxic dose of compounds in the poinsettia plant." They also state that the poinsettia leaves are reported to taste quite nasty so the chances of a child or an animal eating enough to become ill is quite slim. "While ingestion of house plants is never a good idea (some popular plants can be extremely dangerous when eaten) parents of young children can be assured that the poinsettia plant is not a dangerous risk in the home." Well let's hope they survive! That would be cool to have them growing in your yard!